The country’s economy has historically been based on the Copper Mining Industry. However, the Zambian Government is undertaking economic diversification to reduce the country’s reliance on the Copper Industry and exploit other components of Zambia’s rich resource base by promoting Agriculture, Tourism, Gemstone Mining and Hydro Power generation. Growth is projected to strengthen to above 4%in 2018 and over the medium-term. High international copper prices and improved domestic production from newer and recently refurbished mines is expected to support exports. High copper prices have eased external pressures, leading to a stable kwacha. Strengths in Zambia favor include abundant natural resources and abundant , cheap manpower, political stability and one of the most liberalized economies that guarantees that foreign investments are safe and that there are no controls on foreign exchange earnings. Zambia is a multi-party democracy and provides a free market liberalized economic environment in a stable strife-free and multicultural society. 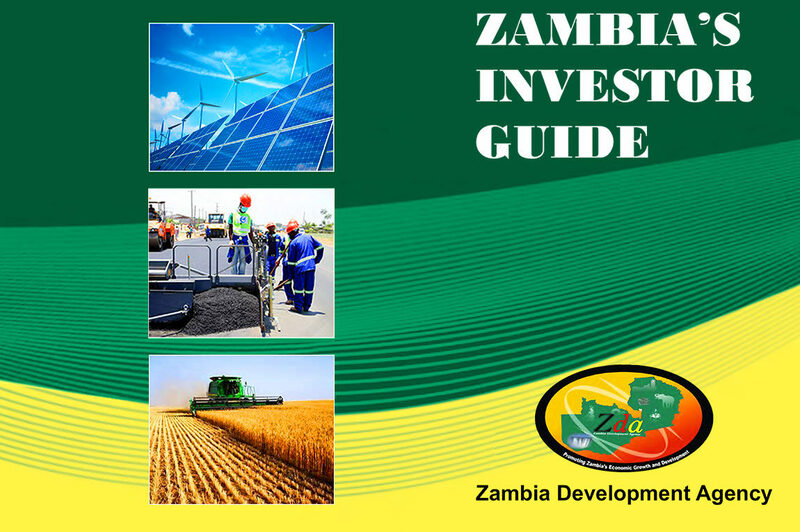 The Zambian Government welcomes investors across sectors and the laws relating to investment provide investment incentives and protection, in order to attract increased investment and international trade, as well as increased domestic economic growth. (a) Abundance of natural resources and manpower, which are highly under-utilized. (i) Good place to work and live – sub-tropical climate and vegetation with plenty of water. Friendly people, mostly English speaking, with high literacy rate. Educational establishments to University level. Strong religious values. Open-air lifestyle with nature reserves, game parks, rivers, lakes and waterfalls. Thriving Private Sector: Government has successfully privatized most of the previously state owned enterprises, thus encouraging an entrepreneurial culture. (ii)Zero percent import duty rate on capital equipment and machinery for five years. (i) Zero percent import duty rate on capital equipment and machinery for five years. The Government of the Republic of Zambia has streamlined the various processes that investors would have to undergo upon setting up a business in Zambia. The Zambia Development Agency (ZDA) was established in 2006 under Act No. 11 of 2006. The ZDA is responsible for fostering economic growth and development in Zambia through promoting trade and investment and an efficient, effective and coordinated private sector led economic development strategy. The agency also has the challenge to develop an internationally competitive Zambian economy through innovations that promote high skills, productive investment and increased trade. The ZDA principally furthers the economic development by promoting efficiency, investment and competitiveness in businesses, as well as promoting exports. It also addresses the high cost of doing business in the country by simplifying the processing of various business formalities, such as licensing. ZDA is a one stop shop for all investors and this is evidence that Zambia is open for all to do business.